So you’ve bought your RV! You’ve haggled with the salesman, you’ve poured over the financing papers, you’ve inspected and re-inspected and you’ve had a certified mechanic check everything out. You’re roadworthy! Congratulations, you’re ready to hit the road! But not so fast there, partner. Now that you’ve spent the money to buy that fancy rig, you are going to need to spend some money to fill it… and we ain’t talkin’ about the gas tank here! You’re going to need some RV supplies! See that bed? It needs sheets, blankets and pillows. See those cupboards? They need cups and plates. See those drawers? They need… well, they could need a whole lot of things. So here it is. 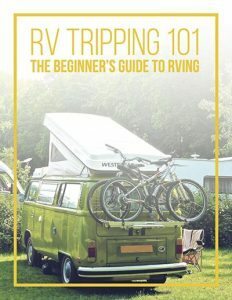 You’re definitive guide to RV Supplies and Accessories. Let’s start with the all-important RV bedding supplies. Let’s be honest, you bought this rig because you wanted all, or at least, most, of the comforts of home and perhaps the most important is that cozy bed. Well guess what? Your RV bed is going to need all of the same stuff your bed at home needs. machine, friends! You may as well getaway into some sheets, blankets and a comforter especially for your RV, right? Before you go running off to the store, pay attention to a couple of things. – Is your RV bed the same size as a residential bed, or does it have special dimensions to fit your RV? – What is the thickness of your RV bed? – Is there a specific decorating motif you would like to follow? Make sure that you get bedding supplies that are comfortable and durable, but you may not want to buy the most expensive set of sheets on the shelf. After all, you ARE going camping and you might be a little dirty or smell of campfire when you go to bed. Well, would you look at that? Another one of the luxuries of having an RV: a working bathroom! 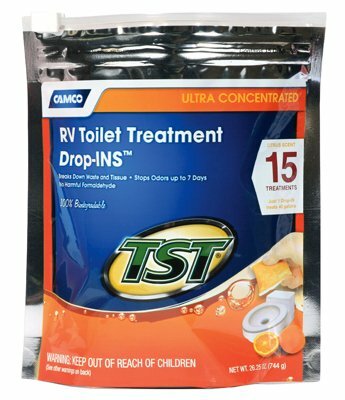 Like you’re home bathroom, you’re going to need some supplies, but you should pay special attention to supplies for your RV toilet. First of all, let’s talk paper. Toilet paper, that is. It’s a good idea to purchase an RV specific toilet paper to avoid clumps and clogs. RV toilet paper breaks down more easily in water, so it is safer for your RV black water tank. Next, you’ll want to pick up some RV holding tank chemicals. These chemicals are designed to help with the unpleasant odors that can come from your RV black tank, and they are designed to help the process of breaking down paper and solids. And the luxuries just keep on coming! You’re RV has a fully equipped kitchen, so let’s talk RV kitchen supplies! Many of the supplies you use in your home can be used in your RV kitchen as well, so there isn’t a ton of mystery here, but it’s important to keep a few things in mind. – You’re dealing with a moving kitchen, so try to avoid anything that can break easily. Plastic plates and cups might be a good idea. – You don’t have as much space as your kitchen at home, so try to pick utensils that have multiple uses. 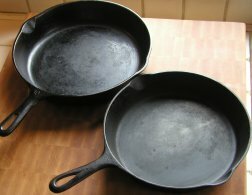 For example, cast iron pans are a great choice because you can use them both inside your RV, and outside over a fire. – While you are camping you don’t want to spend a lot of time cleaning, so any kitchen utensil that cleans up easily is a bonus. #4 Let’s Play a Game! Into each camping trip a little rain may fall. You want to be prepared to spend some time inside the RV when the skies open and one of RV interior supplies that is sometimes missed is games. Think of the things you like to do at home on a rainy weekend with the family. Movies? Monopoly? Checkers? Pictionary? 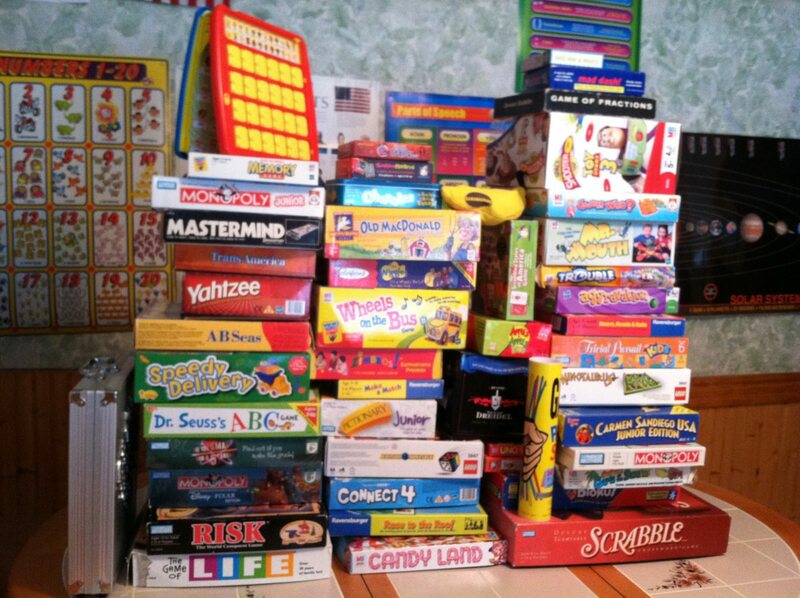 It’s a great idea to have some games or movies available in your RV for when the weather doesn’t cooperate. Many RV’ers will dedicate a cabinet inside their RV for games and rainy day activities, which is especially important if you have small children, or a husband who is easily bored! Once you hit the road and make it to your campground, there are some RV park supplies that you’ll need to get yourself set up. Are you level? For your RV refrigerator to run properly, your RV needs to be level. Your RV may have come with leveling jacks, but it’s a good idea, and good manners, to put boards under those leveling jack so you don’t chew up the ground under your RV. If your RV didn’t come with leveling jacks, you’ll want to carry some wood blocks to make sure you can raise your tires on either side if needed. 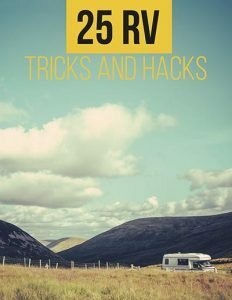 Your RV probably came with an electrical cord to connect to the campgrounds electrical services, but is your cord long enough? Do you have the right plug for the type of outlets in the campground? It’s a good idea to carry an extra cord, along with a few electrical adapters, or “dog bones” to make sure that you can connect to the electric services at your campground. One of the most important RV plumbing supplies that you’ll want to carry is a sewer hose. Whether you are at a campground with full hookups, or you’ll be dumping your tanks as you leave, at some point those black and gray water tanks needed to be emptied, and you’ll need a good sewer hose to do the job. One more thing. Carry an extra sewer hose. Don’t ask questions. Just trust me on this one. #6 Keep It Clean, Mister! 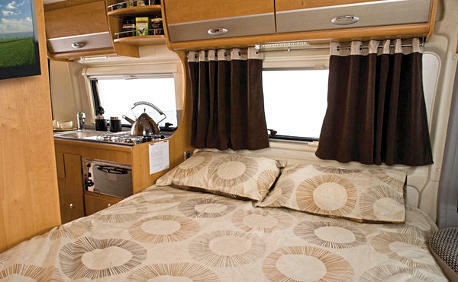 part of that is the, sometimes unpleasant, fact that you must clean your RV. While there are specific RV cleaning supplies that you can find at many RV related retailers, using your regular household cleaning supplies is also a good option. 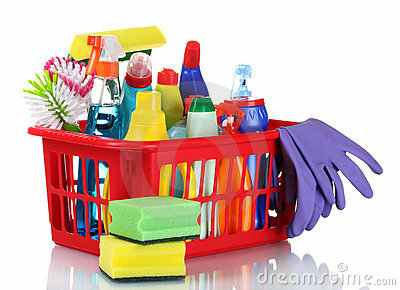 Dish soap, dusting spray, glass cleaner, toilet cleaner, degreaser. All of these things will come in handy in your RV. It’s also nice to have a container of disinfecting wipes on hand for those times when just a quick clean up or touch up is needed. With all these luxuries comes the harsh reality that sometimes in an RV, things break. You have all kinds of RV equipment and supplies on board and it’s important to be prepared to deal with them in the unfortunate event that something breaks down on you. So you need to carry some RV repair supplies along with you, just in case. It’s a good idea to have a good set of tools along with you in the RV. Screw drivers, sockets, hammer, pliers and wrenches. If those sound like the same tools you have in your garage at home, you’re right. You just never know what you are going to need or when you are going to need it and a good tool set is your friend in those cases. You should also carry some back up RV plumbing supplies. It’s a nice option to carry a y-splitter so that you can split the water service at the campground. By doing this you get water in your RV, and you can also hook up a hose to use outside your RV. Speaking of which, you should carry an extra hose. An extra hose is a good idea in case yours springs a leak, or if you want to wash something outside of your RV. Another thing I always carry is plumber’s tape. When you find a small leak in a gasket or fitting in your RV plumbing system, you’d be surprised how often a few inches of plumber’s tape will take care of the problem. And don’t forget the RV electrical supplies either. Extra extension cords are always a good idea just in case. Most importantly, carry extra fuses. An overload on any of your electrical circuits can often easily be remedied by a new fuse so make sure you have fuses of all the different sizes that your RV uses along with you as spares. Whether you have a motorhome or a travel trailer, a pop-up camper or a truck camper, your RV tires are a key element to getting you to where you want to be. And when it comes to keeping your tires in good shape while you are on the road, it doesn’t matter if you have a huge diesel pusher or a small pull-behind, you need to have the right motorhome and RV trailer supplies for your tires. Always carry a tire gauge so that you can make sure your tires are at the proper pressure. As a note, always be sure to check the pressure on your tires when they are cold, or before you have driven anywhere. Tire manufacturers set their recommendations based on the pressure in the tire when it is cold. It’s also a good idea to carry tire covers to protect your tires when you get to your destination. Harmful UV rays from the sun can do damage to your tires and these inexpensive covers can save you money in the long run. #9 My Mama Told Me, You Better Shop Around! Like most things when it comes to RV’ing, RV supplies can get expensive, so don’t be afraid to shop around. Most major manufacturers, such as Camco RV Supplies, will have an RV supplies catalog that lists everything that they have available, and often you can find the same RV supplies online. It’s a good idea to shop your local RV supplies store, a big box retailer, as well as to compare prices online. There are a lot of different websites where you can buy RV supplies that you may not even find in your local RV supplies store. You may even be able to find used RV supplies that still have plenty of use left in them. back-ups, you might be overwhelmed at this point. Sometimes an RV can feel like another chore that you have to take care of. Believe me, I’ve been there. But now is the time to remember why you bought all of these things in the first place: to get away. You’ve got years of enjoyment ahead of you with your RV, and the supplies you’ve purchased make all of those RV luxuries usable and worthwhile. Keep perspective on why you thought this RV was a good idea in the first place and take some time to slow down and enjoy it! 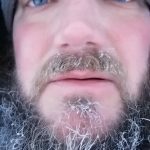 So, share this article with your friends who might need some RV supplies, then load up your own supplies, hit the road, and find a nice spot to relax!